After much rumor, leaks and anticipation, Nintendo has finally announced that their latest console is in development and will be released in March 2017. Introducing the Nintendo Switch! The Switch is a hybrid between a home console and a mobile console. This allows you to play it wherever you want and with whomever you want. It comes with a variety of enhancements and differences that makes the Switch completely unique. 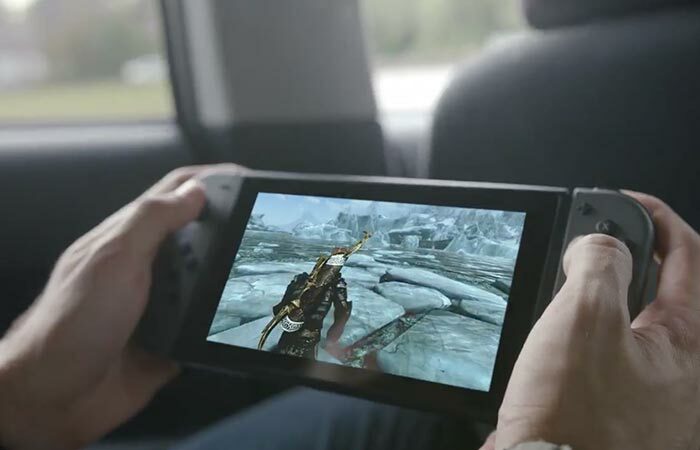 The mobile function of the Nintendo Switch allows you to use it much like a gamepad. This hybridization between console styles has given the Switch the ability to play video games in completely new ways. Firstly, the Switch looks much like a tablet, and certainly has that element to it; however, much like the Wii, it comes with two detachable controllers. This allows you to play motion-style games, as well as to have them functioning as two mini controllers for single-screen multiplayer. Check out the video below. The two Joy Con controllers are detachable and acts as two mini controllers for single-screen multiplayer. Another interesting feature is the docking station. 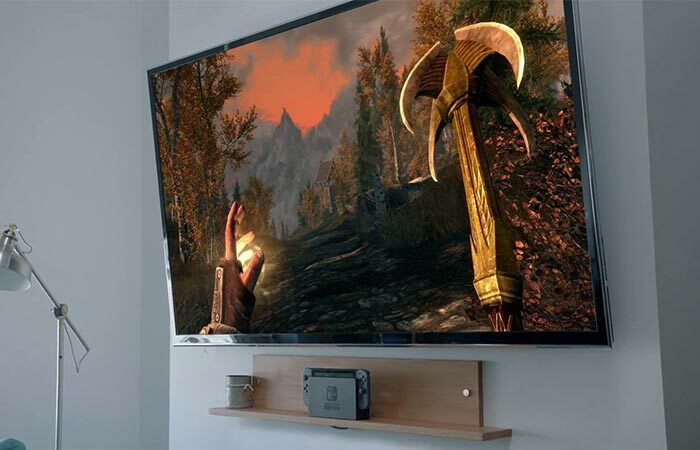 By connecting the Switch to its dock, you can seamlessly play it through your TV and by removing it, it immediately goes back to portable mode. 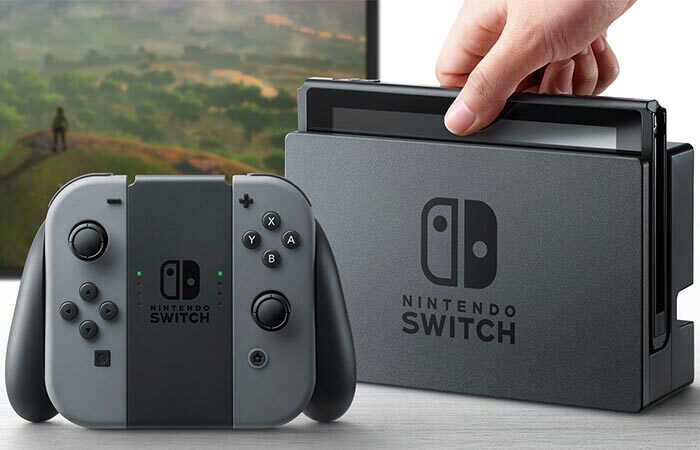 Furthermore, it also comes with a Switch gaming controller that allows you to play independently from the console by sliding the two ‘Joy Con’ controllers onto it. 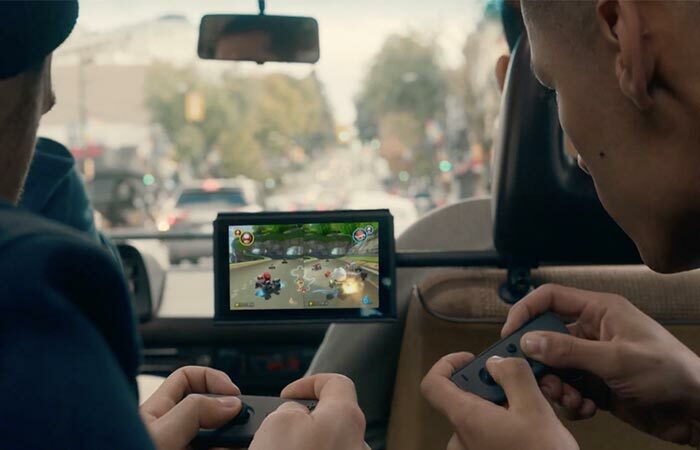 By docking the Nintendo Switch, you can immediately switch to console style gaming through your TV. Check out more at Nintendo here. Besides it being mobile, this truly is a fully functional home console.